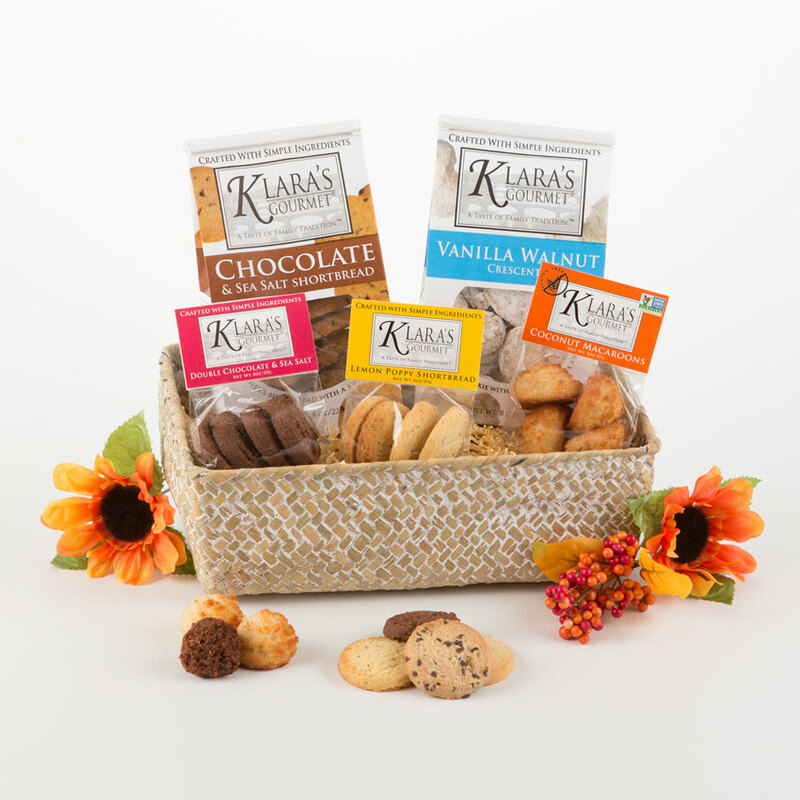 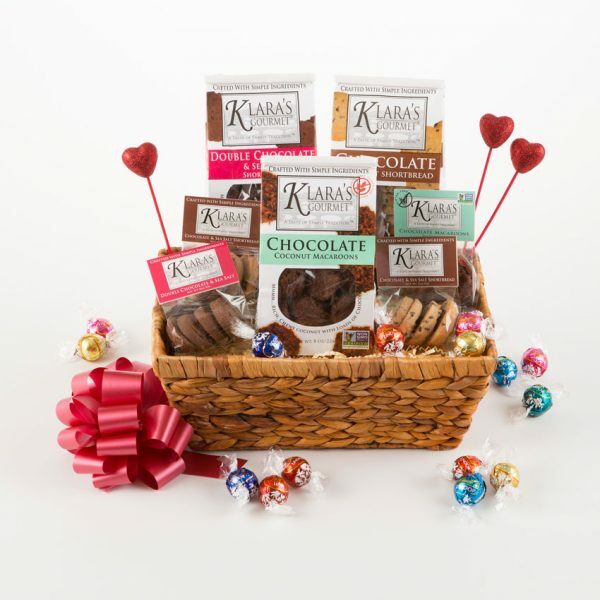 The ultimate melange of our finest treats makes a wonderful gift for anyone: friends, family, clients and guests. 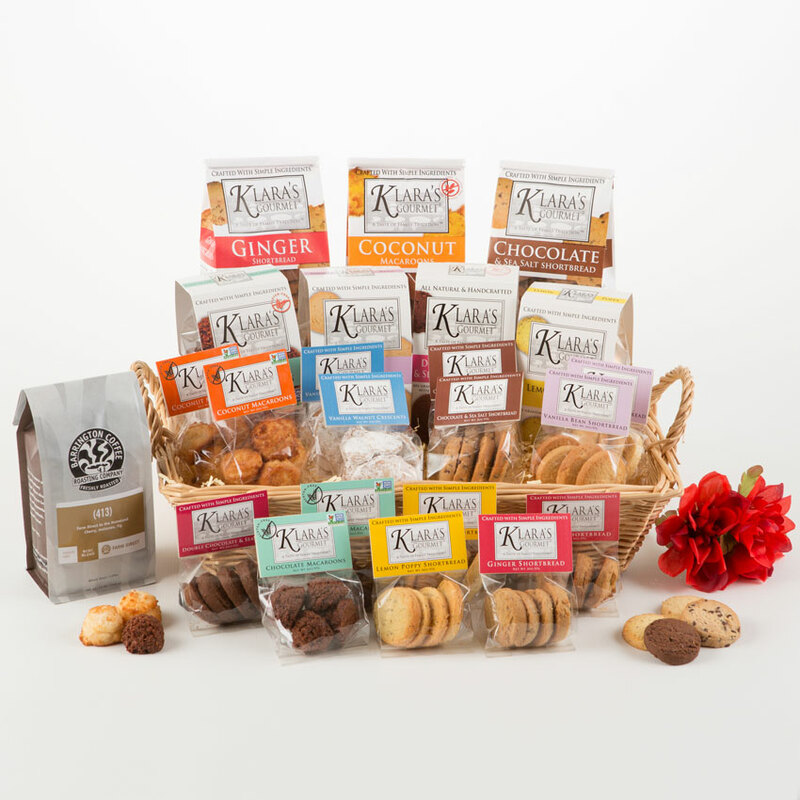 Vanilla Bean Shortbread; Lemon Poppy Seed Shortbread; White Chocolate Gingerbread; Ginger Shortbread; Chocolate Macaroons, Coconut Macaroons, Chocolate Sea Salt Shortbread, and Double Chocolate Sea Salt Shortbread. 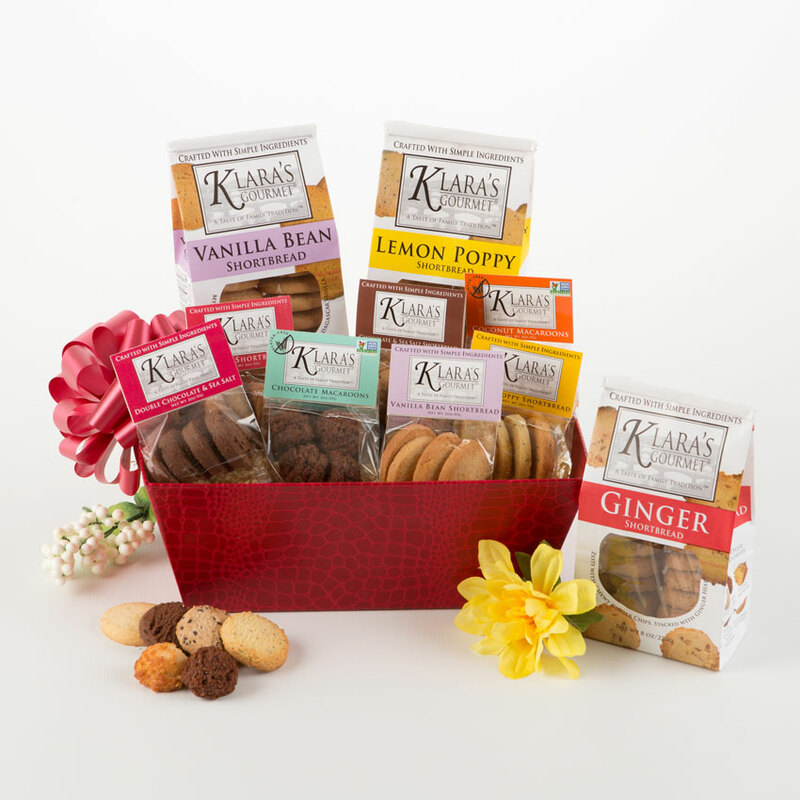 Contains: 1-8 oz Vanilla Bean Shortbread; 1-8 oz Lemon Poppy Seed Shortbread; 1-8 oz White Chocolate Gingerbread ; 1-2 oz bag each of: Chocolate Macaroons, Coconut Macaroons, Chocolate Sea Salt Shortbread, Lemon Poppy Seed Shortbread, Vanilla Bean Shortbread, Ginger Shortbread and Double Chocolate Sea Salt Shortbread.